It has always been illogical to claim that as peak oil demand approaches, that this will provide a great new opportunity for lots of cheap refinery feedstocks in order to meet booming polymers demand. Download this insight by ICIS consultant, John Richardson to understand if the weaker demand growth for transportation fuels will apply to the polymers industry. 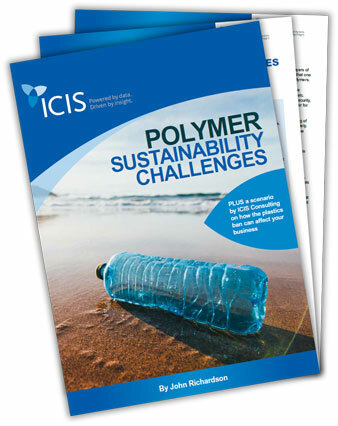 Plus, read further for an LLDPE scenario by ICIS consultants to discover how much European polymers demand might be damaged by the new EU Plastics Strategy.